“Grant, I have to go,” I told him. I am dying right here on the patio. “Is that an option?” he asked me. I laughed a little. “It is going to take more than one phone call asking for me to forgive you for it to be an option,” I told him. As Sydney decides to throw caution to the wind and begin another relationship with the man who has captured her heart. As their relationship strengthens and their fears and jealousy’s are explored, they become closer than they thought they could ever be even with the thousands of miles separating them. When Sydney and Grant’s futures get in the way of them being together see the rocky road they lead and the changes in their lives that make their paths criss- cross. Sydney finishes her college career and begins life as a young adult. She becomes a strong independent woman and is reluctant to give up her heart to any man especially the one who keeps floating in and out of her life leaving her heart broken. Can Sydney live with all of her feelings for the only man she has every truly loved tucked away in a small box in her soul? Is Grant her only true love or does someone else come along to show Sydney that she can love again? These questions and so much more can be found in the pages of “Not Another Wish”! I liked Not Another Wish a lot more than the previous book in the series, Wishful Thinking. I struggled with Wishful Thinking because it was adult contemporary, but neither the plot nor characters felt very adult-like. In this new installment, things were quite different. The characters were a lot more mature, the plot was as well, the writing flowed better, there were no more awkward pacing issues and all in all, I actually really enjoyed this book. Sydney and Grant struggle with their relationship because what they want and what they need are seemingly miles apart. Sydney finishes college, and begins life as a young woman. She’s done a lot of growing up, and she’s less childish than in the previous book, in fact she acts and behaves like an actual adult most of the time. But she still loves Grant, and even if she tries to hide those feelings, they come back to haunt her. I also liked Grant here. He’s done a lot of self-reflection and he’s really changed, for the better. Credit: I was given an eBook copy in exchange for an honest review through Enchanted Book Promotions. 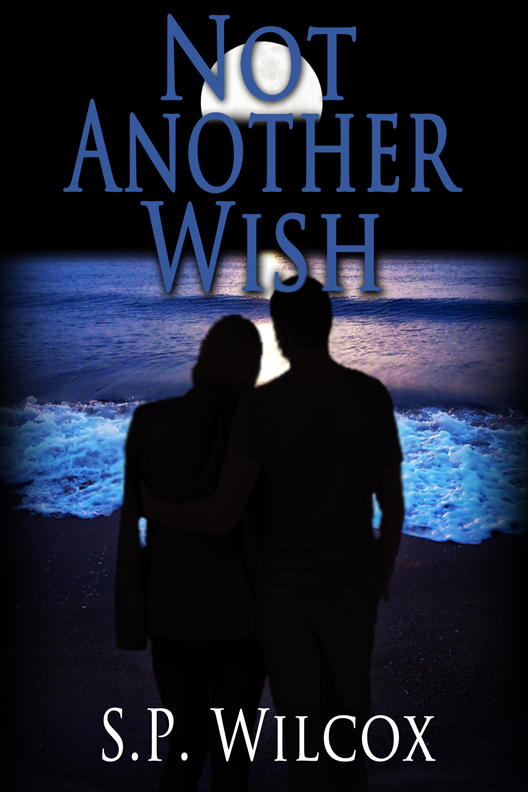 The author allowed me to give away an eBook copy of Not Another Wish on my blog. If you’re interested in participating, all you have to do is leave a comment below with a valid email address, and you’ll have the chance to win a copy. This is international, and winners will be notified through email. 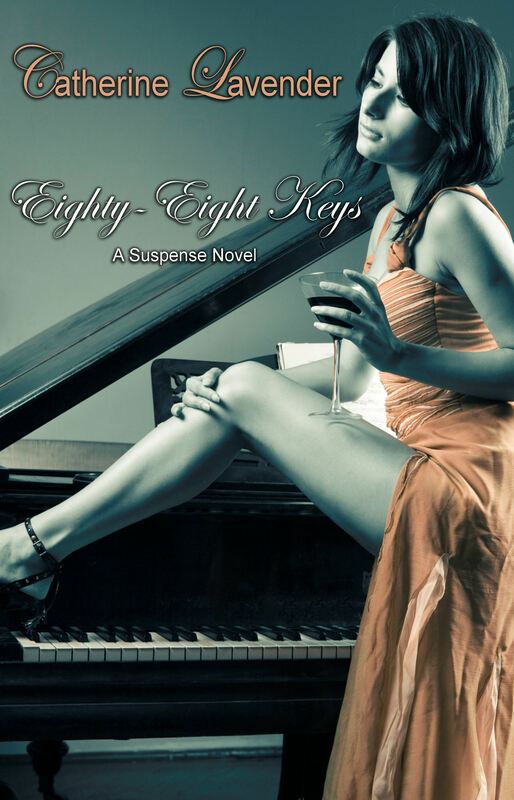 We’re celebrating the release day party of romantic suspense novel Eighty-Eight Keys today. 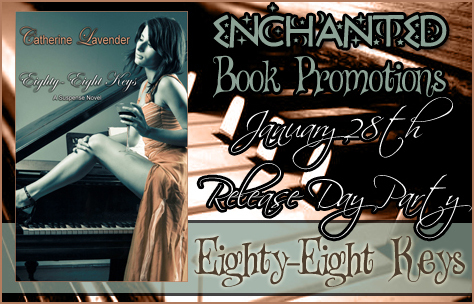 Get your copy of Eighty-Eight Keys now! realize that only the truth can set her free. This book is about Gerry and Nicky. Gerry is a shape-shifter slash witch, whereas Nicky is a dhamphir, a mix between a human and a vampire. Now I’m not sure who first came up with the term dhampir, but I rather like the sound of it. Both characters were strong and relatable, even if they had supernatural abilities. I liked the way the other set up the main story arc for this book, and gave little away about the character’s history until later on. Now I must say I haven’t read the first two books in the series, so it’s possible I’ve missed a few things about the background story that were told earlier, but I enjoyed finding out throughout the book. I liked the action scenes in this book. It’s hard to write proper action scenes, but Olivia Hardin nailed it every time. She describes what the action scenes into great detail, making me picture it, without being boring. Like I mentioned, I liked both main characters, especially when they were together. Their romance was strong and believable. I recommend this book to all fans of adult paranormal romance. Win a $50 Amazon Gift Card and paperback copies of all books in the series! Left heart broken by her high school sweetheart Sydney is in no means interested in having a serious relationship. She has just finished her freshman year of college and is headed home, leaving her best friend at school and no hopes for an exciting summer. Sydney is presented with the opportunity of a lifetime by her longtime friend Heather. Accepting this opportunity could make or break her summer vacation. When a gorgeous young man crosses her path more than one time, Sydney is almost torn to pieces by her immediate attraction to him. Making her choice simple, she will take the offer from her friend and embark on a summer she will never forget. Sydney is looking for a summer filled with endless amounts of fun. What she doesn’t know is this is the summer that will change her love life forever. See what happens to Sydney in her quest to have a summer filled with no ties. A high-school romance gone wrong has damaged Sydney beyond repair. She can’t seem to trust any guy anymore. She hoped freshman year of college would help heal her scars, but it seems as if she remains stuck in the past. With summer around the corner, her friend Heather invites her to spend the summer at her parents’ beach house. Sydney agrees after she finds a job at the surf shop, so at least she can cover her own expenses. Grant has been going to the beach every summer. He’s the guy who forms no attachments, and who leaves behind a string of broken-hearted women who tried to change him, but failed miserably. Your typical bad boy, who can’t help himself but is unable to bond with anyone. Commitment issues aside, he’s a decent guy. He brings out feelings Sydney didn’t think she could experience ever again. With a laid-back, carefree personality, ready for any challenge, he’s quickly got her interest. And as summer progresses, and they spend more time together, he may just win her heart as well. I thought this story was okay, but I didn’t love it. There was promise, but it felt a bit tiring and familiar. I mean, I’ve read the plot before. Broken-hearted girl meets charming, mysterious bad boy who can’t bond with anyone, yet they connect and live happily ever after. He’s willing to do for her what he couldn’t for anyone else. And the number of romance books taking place on the beach during summer is gigantic. So the plot definitely wasn’t original. I liked the characters, but they could’ve been better as well. Sydney was underdeveloped as a character, in my opinion. She read like Bella Swan, the idea of a girl, but she didn’t have enough personality to actually be a girl. I think the author did a much better job portraying Grant as an actual, real human being though. I liked him. He was complex, sometimes even annoying, but at least he was a fully formed character with an actual personality. Some parts of the book were rushed – especially the beginning chapters – and other parents went very, very slow. I can overlook this though because it’s the author’s debut, as far as I can tell, and most debut books tend to suffer from this symptom. What I did think was remarkable were the romance scenes. They were written very well, especially for a debut author. The strange thing is that, all these things together actually worked. It wasn’t magic, it wasn’t the best book ever, but it was a pleasant read, and I finished it quicker than I thought. If you don’t go in hoping to find the next bestseller, you’ll probably have fun reading this book. If you want a nice love story to pass the time, you’ll definitely enjoy this. 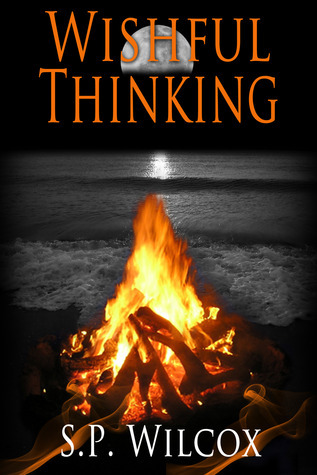 The author allowed me to give away an eBook copy of Wishful Thinking on my blog. If you’re interested in participating, all you have to do is leave a comment below with a valid email address, and you’ll have the chance to win a copy. This is international, and winners will be notified through email. Jai finds to find her daughter back. While she was a teenager, she got pregnant, and her Dad sold the child. Now she’s desperately searching for her lost daughter, and willing to risk all her savings to find her back. But that’s harder than it looks, and when the money she was going to use to hire a private investigator is stolen, Jai is at the end of her wits. But knight in shining armor, Guardian Tsu, steps up to help her. Because the moment he sees Jai is when he knows she’s his soulmate, the woman he’s been searching for since his birth, centuries ago. He would do anything for her. But since Jai knows nothing about Guardians, he has trouble making her believe him. Even though Jai’s more occupied with finding her daughter at first, she slowly begins to develop feelings for Tsu as well. I liked their relationship and how it developed, and I liked Tsu. Seriously. He was one of the most amazing male love interests I’ve ever seen, mostly because he was completely different from the usual suspects. He’s caring and considerate, willing to listen to Jai when she makes her mind up about something, and not going behind her back and playing the hero. That’s what’s so freaking great about him. Also, the Guardian lore is just pure gold. 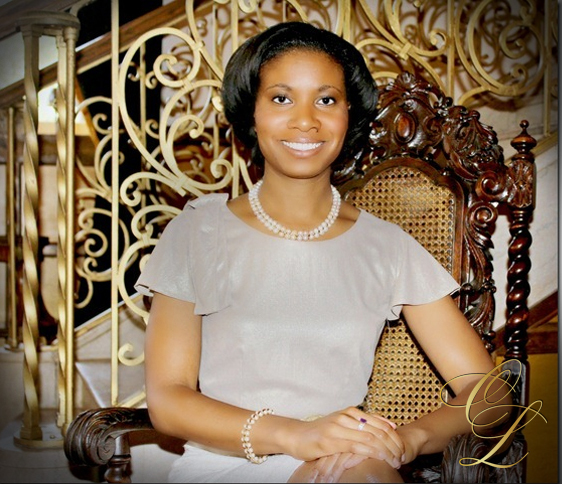 And I absolutely freaking loved Quan, Tsu’s sister. She has flaws. A lot of them. And that’s what made me like her – she’s flawed, she makes mistakes, and she owes up to them. I wouldn’t mind reading a book with her as main character either. Apart from that, the romance was amazing. Like I said, Jai and Tsu just click. They’re a great couple, and on their own, they’re great characters as well. 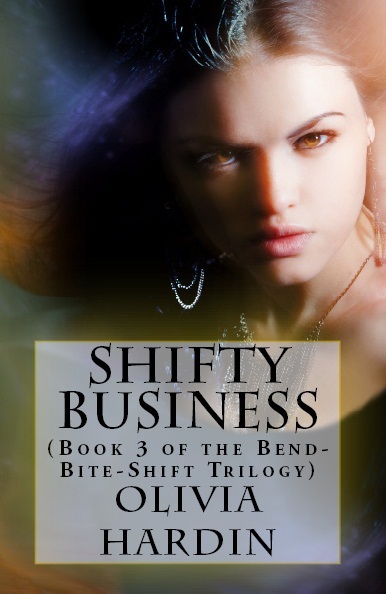 I would call this urban fantasy with a heavy dose of romance, at its best. Credit: Review copy provided by Enchanted Book Tours for a review during a book tour. Win a $25 Amazon Gift Card (one winner) or a Guardian of Eden anthology (two winners) by commenting on one of the posts during the tour. So, comment here, and you’re in for the draw! Leave a valid email, so the author can contact you. Oh, and it’s international. Good luck! I have to start this review with a confession. 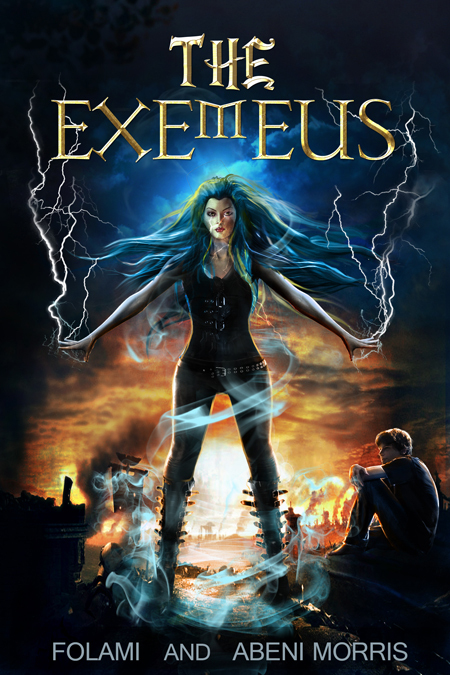 I don’t like the name Hyalee, which happens to be the name of the main character in The Exemeus. I can’t help it. The name just doesn’t work for me. So I had trouble liking a character named like that. It’s a weird pet peeve of mine, and here more importantly, I have the feeling the name didn’t match the character, which is another pet peeve of mine. At around page twenty, I was convinced this book wasn’t going to be for me. But I kept on reading, hoping to find something I liked. And I did. Because by the time I very well realized it, I was halfway through this book and eager to read more. Even despite my initial reservations, I absolutely loved this book. I devoured it. By the time I was at midway point, I couldn’t stop reading anymore. The story is amazing. Dephon is trying to find a way to survive ninth grade in the post-apocalyptic world she lives in, which is pretty dystopian. By the way, Dephon is a pretty cool name, which made up for Hyalee’s name being not as cool, in my opinion. But Dephon has powers, powers the government want to eliminate, because, like most dystopian governments they’re highly allergic to anythigng that can cause a threat to them. So they want Dephon out of the picture, and they literally sent an army of assassins to do so. Dephon has no choice but to fight back, and help the greatest warrior in history. Problem? Hyalee, said great warrior, well, she’s dead. And that’s where the rollercoaster ride that this book is truly picks up, and everything beyond that point is amazing. I didn’t just enjoy this book, I LOVED it. 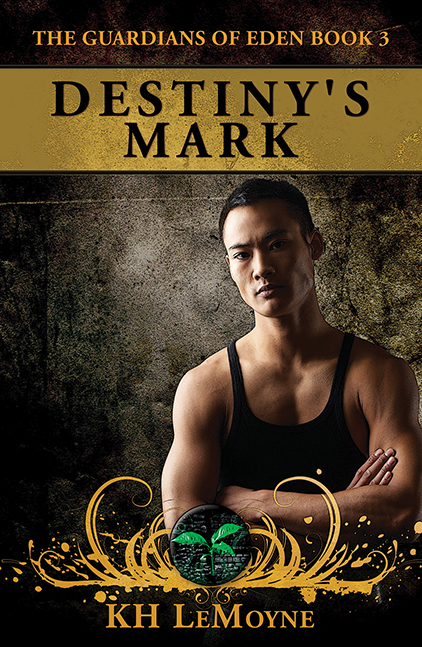 Dephon isn’t your typical YA fantasy character, and neither is Hyalee, but they both pretty much rock. The society of Trepton, where they live, isn’t entirely dystopian but it comes pretty close. Most of all I loved the background story, the setting and the lore. If you choose one YA novel to read in January and you like fantasy, choose this one. Purchase your copy in paperback or Kindle format.